Mukesh Ambani who is one of the most popular Indian business magnate our country has. 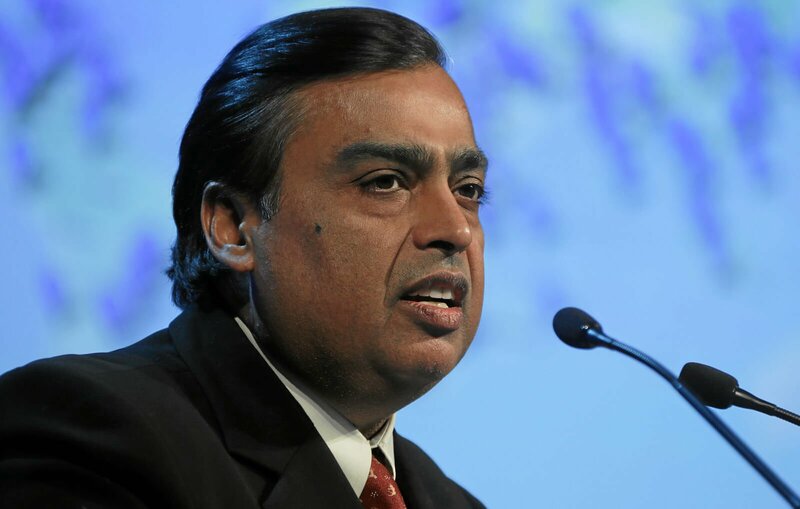 Ambani is the chairman, managing director and largest shareholder of Reliance Industries Limited (RIL). Reliance Industries Limited mainly deals with refining, petrochemicals, and in the oil and gas sectors. Reliance Retail Ltd is another subsidiary and is the largest retailer in India. The thing that will surprise you more is that, Mukesh Ambani is now on rank 15th . This whole report is from Bloomberg Billionaire index which is updated every date in New York. Not only this Ambani successfully has crossed Jim Walton and Rob Walton of Walmart. Jim and Rob Walton both are brothers and are the son of Sam Walton, who was the founder the world's largest retailer, Walmart. According to Bloomberg Billionaire Index, Ambani is very close to beat Jack Ma of Alibaba. Jack Ma, is very famous Chinese business man, investor, and philanthropist. He is not only the co-founder but also the executive chairman of Alibaba Group. This group is a multinational technology conglomerate. Jack is one of China's richest men who has US$42.7 billion as a net worth. Till June 19 Ambani's net worth was Rs 2.75 lakh crore. And Jack was at Rs 3.11 lakh crore. And as per the reports, there was a jump in a stock of Reliance India and his wealth jumped to 9300 core. A BIG QUESTION ARISES WHAT WILL DE DO WITH THIS MUCH AMOUNT? AND THE ANSWER TO THIS IS: With this much wealth with , Mukesh Ambani can buy 56.6 crore barrel of crude oil and can also turn his wealth into 1 crore gram of gold. Isn't that a proud moment for us that our country is moving towards the path of developed country. .